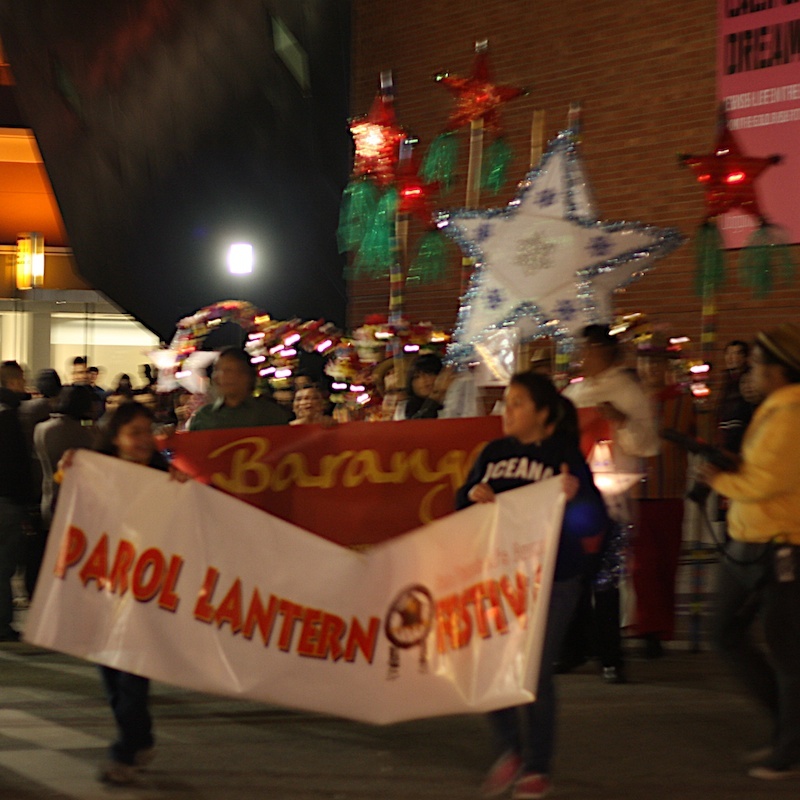 Tonight was the Parol Lantern Parade and Festival at Yerba Buena Gardens. 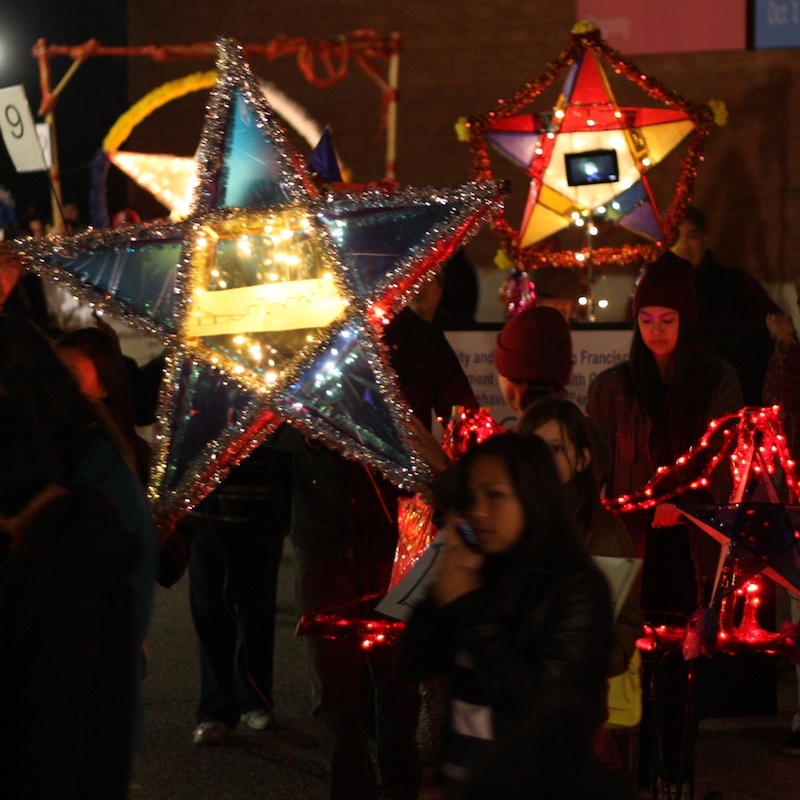 The lanterns are amazing to look at and fun to photograph plus it's a pretty cool Filipino cultural event, too. 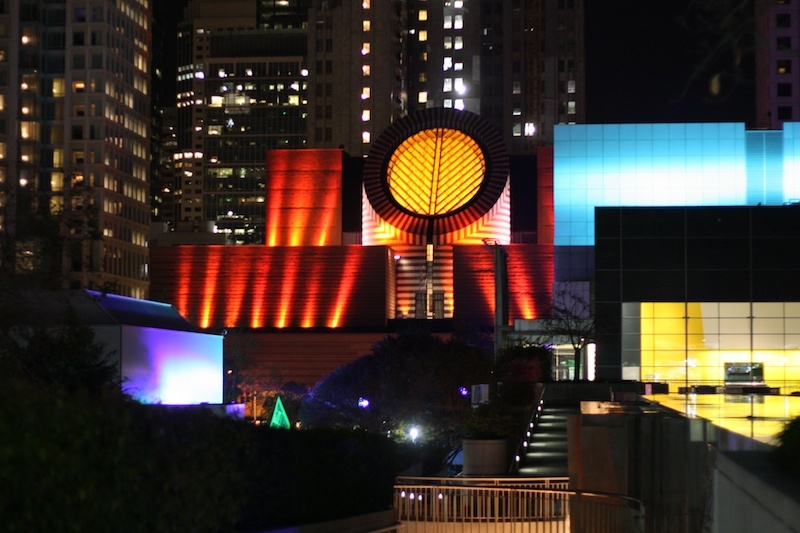 There were probably over 1000 people there enjoying the celebrations. 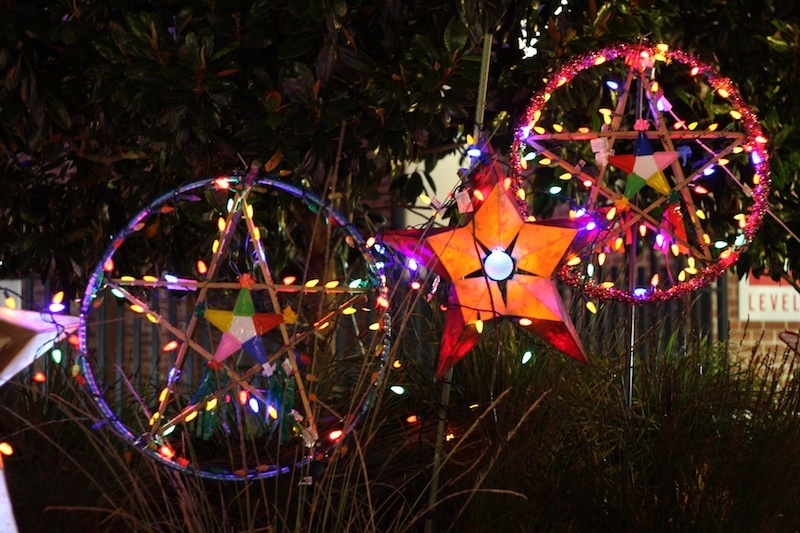 The Parol is a star shaped lantern designed to evoke the Star of Bethlehem that guided the Three Kings to the manger. 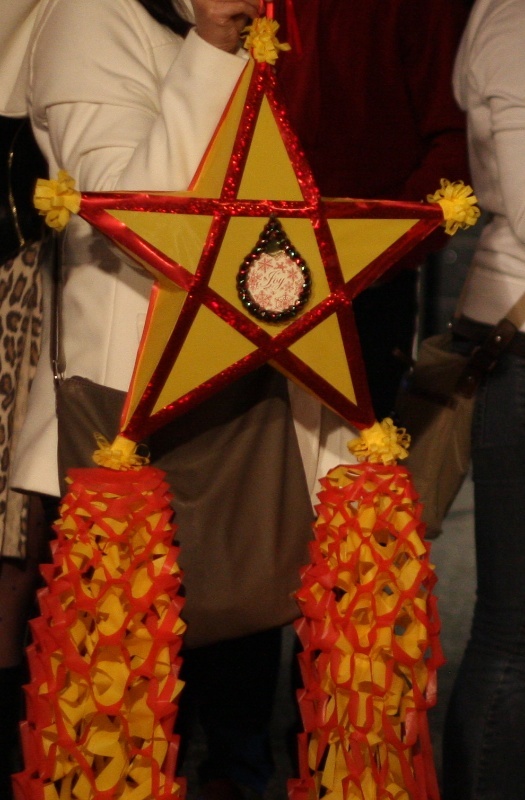 Different groups make their lanterns and compete for first prize. Some do a little performance at the end of the parade route, to help their chances of winning. The video is really blurry, but you can get an idea how fun it is. 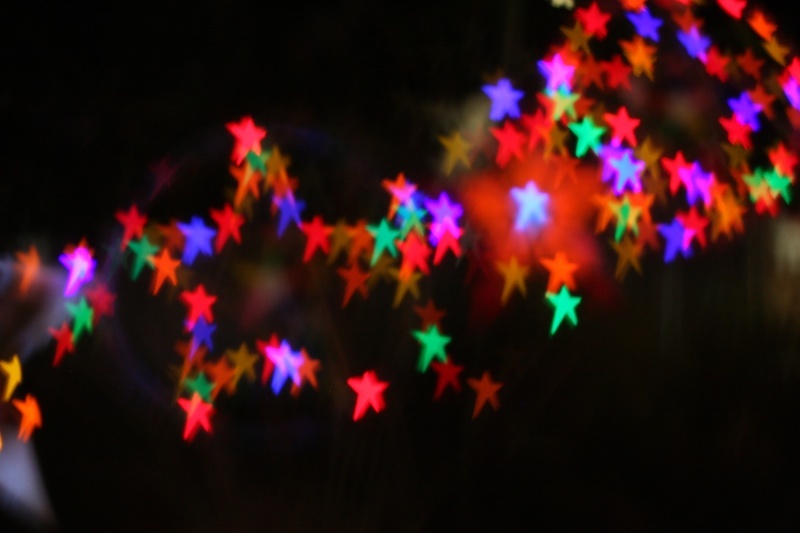 I changed my 'heart' bokeh filter for a 'star' filter and played around with the lights around the square. 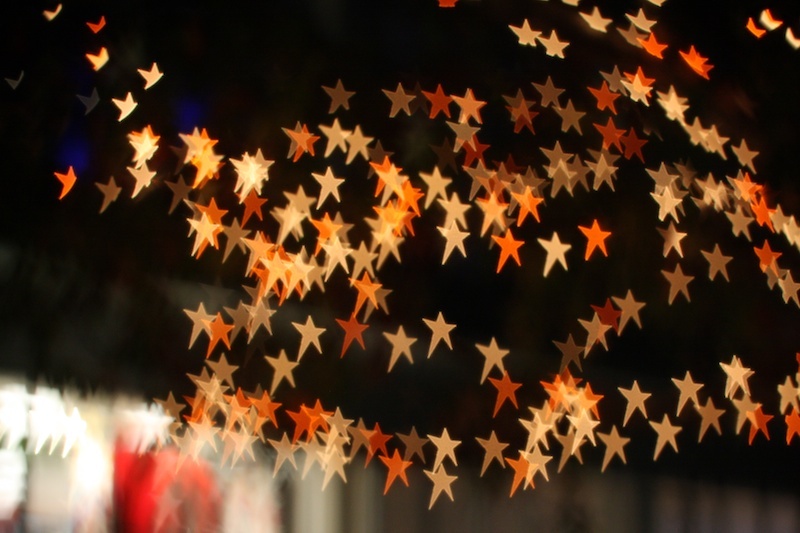 can turn into a magical starry night. But sometimes you don't wanna change a thing. Sometimes it's absolutely beautiful just the way you see it. 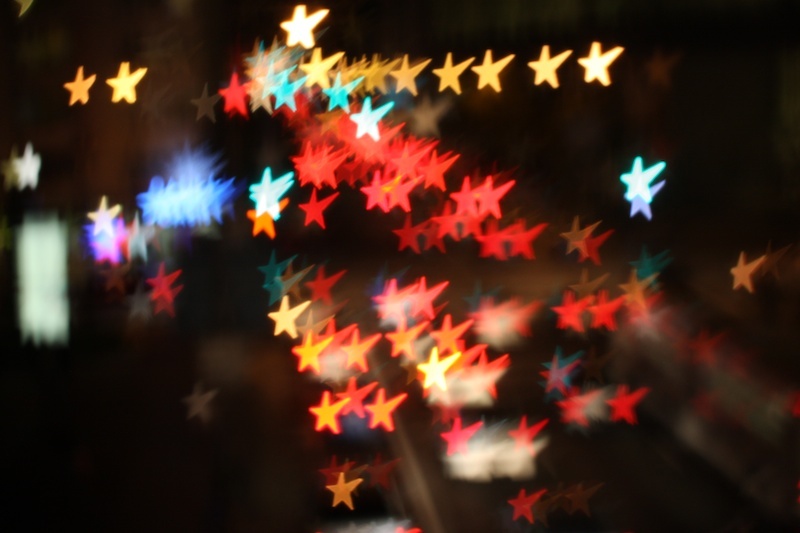 A star bokeh??!! I don't have a clue how you did that, Mad!!! Pray tell. I miss this again. 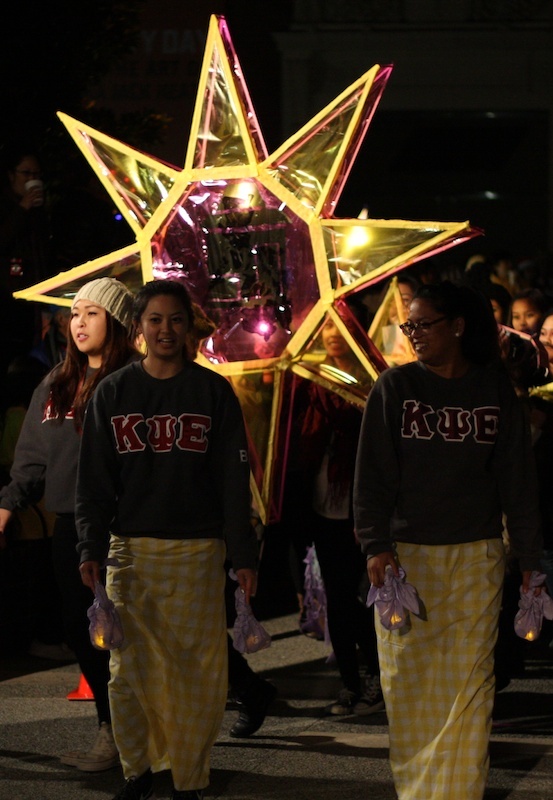 But this year, it was unavoidable. 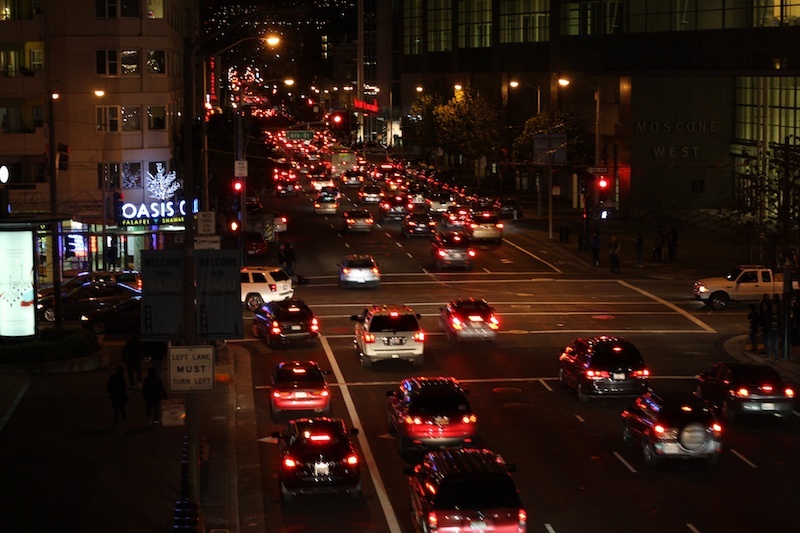 Our church was busy packaging gift baskets for the needy in the Tenderloin that night. 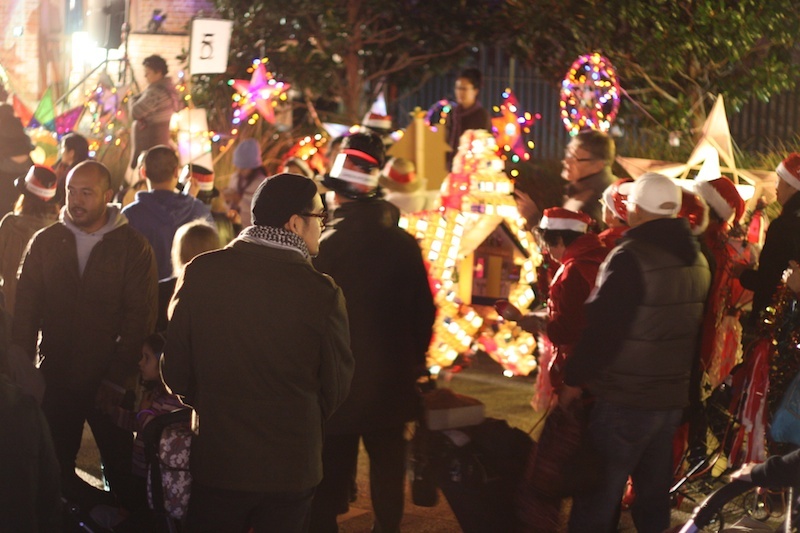 It was a successful event too, except that I missed this again.